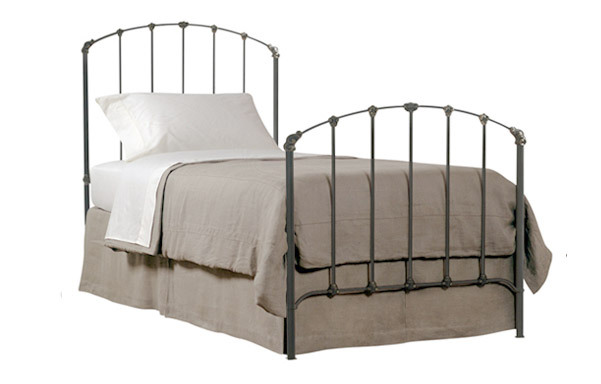 Our original hand-forged Rutherford bed in a trundle bed design for multi-use functionality. 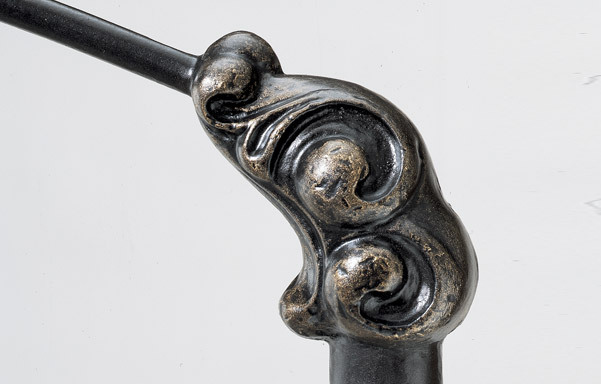 Solid iron with cast on frame accents. 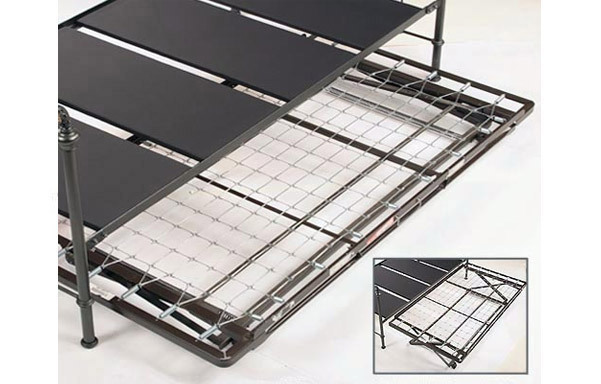 Second mattress can be stored under bed on optional trundle unit which pops when needed. 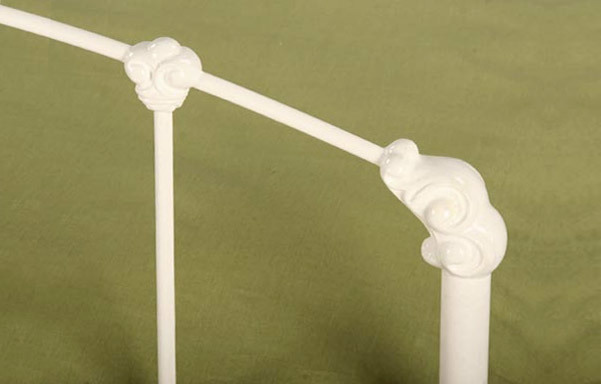 Review: "Although our daughter is only 3 1/2 years old, she has great taste and was thrilled she was graduating to a big girl bed. 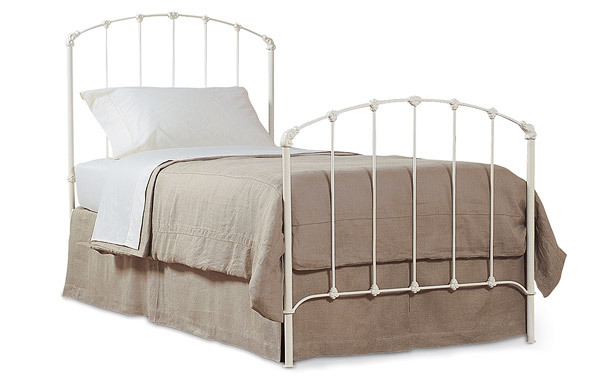 My husband and I have had our own Charles P. Rogers bed for over 10 years and it looks as if we just purchased it. We now know that our daughter will have her bed for her lifetime and if she chooses the next generation of girls somewhere in this family. We've also spent our dollars wisely and a purchase from Charles P. Rogers, is not a purchase, it is an investment that last many lifetimes." 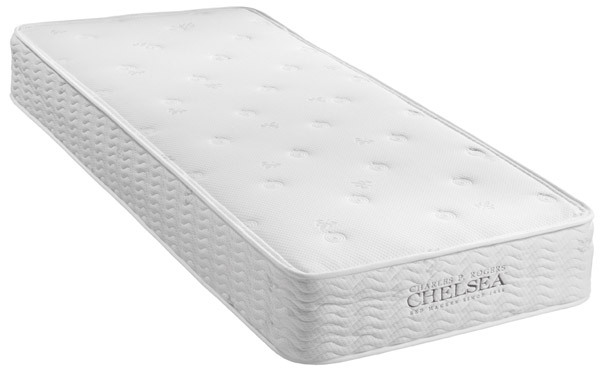 Review: "I searched weeks for the perfect big girl bed for my 3 year old daughter. 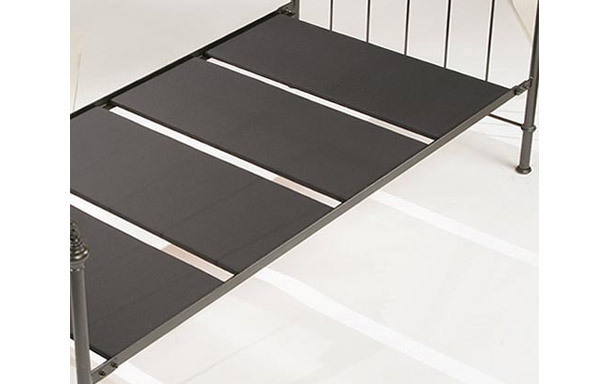 We live in small 2 bedroom townhome, so I was looking for a bed that would also work as a comfortable guest bed for visitors. 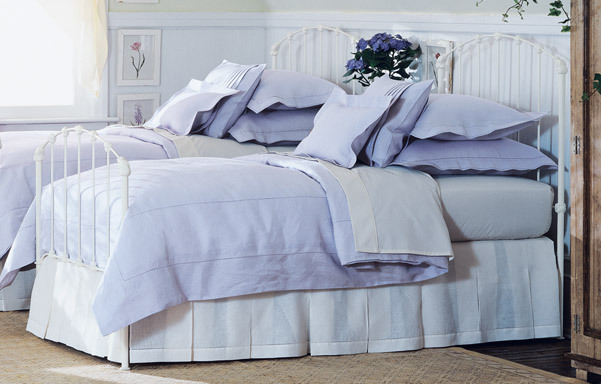 The bed is beautiful, timeless, superiorly built and super comfortable. I have no doubt it will last for generations. My daughter loves having the option to sleep on the trundle which is closer to to the floor; it also acts as her "step ladder" to the regular bed. When she sleeps on the regular bed, I pull the trundle bed out half way, to cushion her in case she falls. My husband is a firefighter, and my daughter and I often have sleepovers on the nights he stays at the firestation. 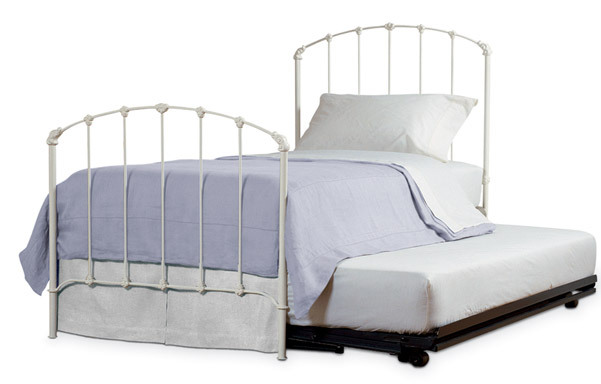 I find the regular bed (more firm) and the trundle bed (a little softer because of the springs) both comfortable. We had my in-laws over for holidays, and they too slept comfortably in the bed ( configured as King Size bed and a two separate beds). I just wish I new about Charles P Rogers before I bought my our master bed. We will now only buy beds from Charles P. Rogers!"